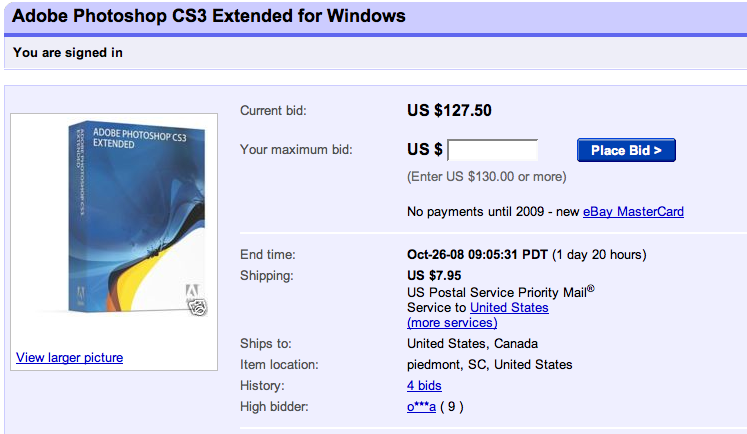 Photoshop CS3 on Ebay at Rock Bottom Prices!! Im sure you guys are tired of me talking about Photoshop.....we are just getting started, especially with the opening of the new site on Monday. I was skimming through Ebay today, and with the release of Photoshop CS4 last week, prices of CS3 can be purchased on ebay in the $100-200 range. I dont think stores are stocked with CS4 yet, but when they are and retailers look to unload their CS3 stocks, wow. If you have ever been interested in Photoshop (including learning it), NOW is definitely the time to buy. 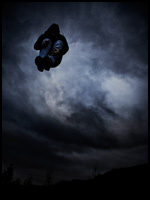 You can get CS3 for say $150 and my complete Photoshop Training Crash Course for another $50. Its unheard of. The new versions of CS4 cost $700. If you ever wanted to upgrade from CS3 to CS4, I think its like $199. (Yes, it would be cheaper to buy CS3 and upgrade to CS4 than to buy CS4!!). If you decide to buy on ebay, be sure they have good feedback (over 100+), live in the US and ask them if it is new/unopened.